If you have a ticketing problem, please contact the relevant ticketing agency for your event. 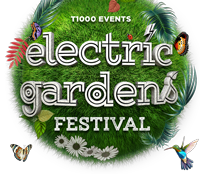 For all sponsorship and partnership enquiries for Electric Gardens, please email amy@t1000.com.au. If you wish to apply for work at our festival bars in Perth and Sydney, please click here and complete the application form. Applications for market stalls and food trucks in all states will open in December. Please contact us below or check back here for more details. Then given free entry into the event after! Merch, snacks and water provided. You can also get in touch with us by completing the form below.